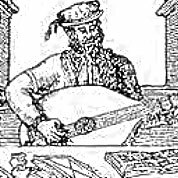 Hans Neusidler was one of the leading figures in the development of 16th cnetury German Lute music. He achieved considerable success not only as a performer and composer, but also as a lute maker and teacher. His sons, Melchior and Conrad (he had 13 children altogether), were also prominent lutenists and composers in their own right.